Here we go again: another guide to North Korean missile designations. You might be asking yourself, “Self, why do I need to learn all these pesky Hwasongs if I already know all the KN numbers? Surely they’re just different names for the same things?” Well, to quote the Tweeter-in-Chief, “It’s an unbelievably complex subject.” Granted, he was talking about health care, but I stand by that quote — missile designations are mighty confusing. Here’s the deal: as I explained in my previous post, there is no uniform designation system for North Korean missiles. The US uses a patchwork of two different systems, one based on KN (Korea, North) numbers, and another based on the location where it was first tested — these generally don’t overlap, as the KN system was likely introduced when the US ran out of place names. NATO also has its own naming system, although with the exception of the STORMPETREL (also known as the KN-01) these don’t often appear in open-source reports. Finally, there’s the North Korean naming system — the focus of this listicle. 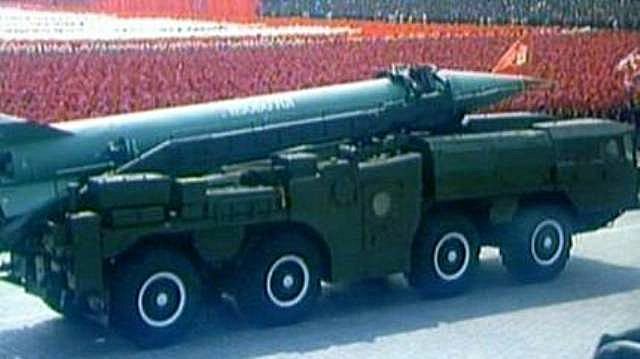 With the exception of the two Pukkuksongs (KN-11 and KN-15), the Kumsong-3 coastal defense cruise missile launcher (KN-19), and the Pongae SAM systems, North Korea generally designates its missiles as “Hwasong” (화성) — the Korean name for the planet Mars (literally “Fire Star”) — followed by a number. The nice thing about the Hwasong system is that, chronologically speaking, it’s much easier to follow than either of the US systems. Because of the competing American naming systems, it’s not immediately clear whether the KN-08 or the Nodong-C came first (trick question: they’re the same missile! But you get my point). However, it’s pretty clear that the Hwasong-10 came before the Hwasong-11 or -12. This makes the Hwasong system much more interesting than the American systems, as you can infer a lot about missile development timelines simply by looking at the order of the Hwasong numbers. On the flip side, it also helps us make inferences about which pieces of hardware could fit some of the missing designations. This is where it really helps to understand the timeline of the North Korean missile programme. Joseph S. Bermudez Jr. and Daniel A. Pinkston are both excellent resources on this, and this detailed NTI/CNS chronology goes up to 2011. My thanks to Arms Control Wonk for letting me post a sequel to The Nerdiest Thing I’ve Ever Done, and thanks also go out to all those who have contributed to the open-source repository (especially Vladimir Khrustalev, who managed to confirm several of these designations while visiting the KPA’s Museum of Weapons and Equipment in Pyongyang). This post will go down the Hwasong list from 1-14, including references to alternate names when applicable. The same caveats from the KN list apply here: this list is compiled from open-source data, which can occasionally be contradictory. I’ll make a note of conflicting designations and will do my best to update the list as new Hwasongs are introduced. When applicable, I may also re-use some of my notes from the KN list to avoid confusion. Finally, as before, this list is mainly intended as a directory, not as an encyclopedia. There’s been some excellent analysis on most of these systems already, but armed with the correct designations you’ll now KN-0w where to start looking. This gets complicated right off the bat (did you really expect this to be simple? Shame on you). 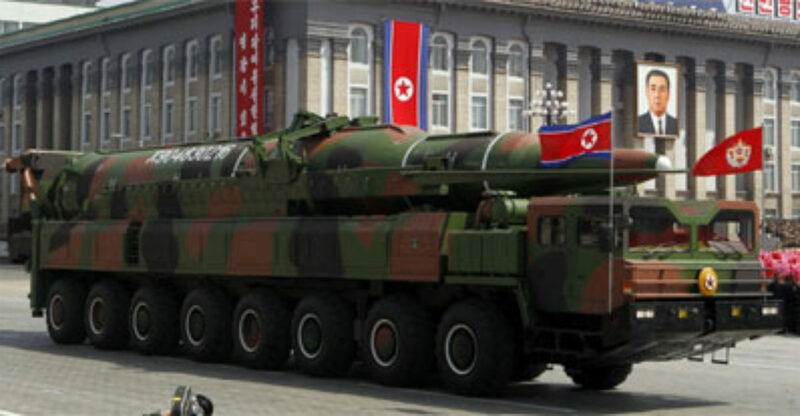 The Hwasong-1 is the 3R10 Luna-2 artillery rocket fired from a repurposed PT-76 tank chassis. Now, because this is a Soviet system delivered to the DPRK in the late 1960s, I’ll pause for a quick and painful note on Soviet nomenclature (I’m so sorry): Soviet designations use both an index number and a reporting name. This seems simple enough, but here’s the tricky bit: the index numbers of missile complexes (the missile plus the TEL and any ancillary equipment) and the missile itself are different. The former usually contains the letter “K” while the latter uses “R” or “M.” So in this case, the “3R10” is the index number for the artillery rocket itself; “2K6” is the index number for the entire complex; and “Luna-2” is the corresponding reporting name. NATO in turn designates the complex as FROG-5. The rocket is solid-fueled, unguided, and spin-stabilized, with a range of 15-55 km. Bermudez. reports that the DPRK acquired approximately 27 to 63 Hwasong-1 rocket systems with 9 TELs from the USSR in 1968, as one of the first weapons consignments between the two countries. The Soviets only provided high explosive (HE) warheads to the DPRK; however, evidence suggests that the North Koreans were able to produce their own chemical warheads for the Hwasong-1. Alternate name(s): FROG-5, 3R10 Luna-2, 2K6. I’m going to skip the Hwasong-2 because there isn’t any confirmed open-source reporting on it, but see my note at the end of this list for my hypothesis as to what it might be. Ready for a Soviet missile nomenclature lightning round? (Don’t lie, I know you aren’t) The Hwasong-3 is the 9M21 Luna-M artillery rocket, which is part of the corresponding 9K52 rocket complex, an upgrade to the 2K6 complex of the Hwasong-1. The Hwasong-3 is a significant improvement on the Hwasong-1 in terms of range and accuracy, and can be fitted with locally-produced chemical warheads. Due to the growing rift between the USSR and the DPRK in the 1970s, the North Koreans were limited to sourcing these newer systems from Egypt, who had received a larger consignment of Luna-M systems years earlier from the Soviets. Bermudez reports that the DPRK acquired approximately 24 to 56 Hwasong-3 rocket systems with 6-8 TELs from Egypt in 1975 and 1976. The Hwasong-3 uses a different TEL to the Hwasong-1: an eight-wheeled ZIL-135LM artillery truck, introduced in 1964. Okay, that’s it — no more Soviet designations, I promise. Alternate name(s): FROG-7, 9M21 Luna-M, 9K52. We’re going to skip this one as well for the same reason as the Hwasong-2. But see my note at the end of this list, I have thoughts on this. The Hwasong-5 is North Korea’s very first ballistic missile, and is based off of a reverse-engineered Soviet R-17E (which also holds the more well-known NATO designation of Scud-B) acquired from Egypt in 1979 or 1980. The Hwasong-5 matches the Scud-B in most technical specifications — albeit with a slightly improved range and guidance system — and is fired from a MAZ-543 TEL. The DPRK reached full-scale production capability for the Hwasong-5 in 1986, and phased it out in 1989 with the introduction of the improved Hwasong-6. In the late 1980s, the DPRK exported a number of Hwasong-5s to Iran (where they are known as the Shahab-1) and to the UAE (where they were immediately put into storage due to performance issues). The Hwasong-6 is essentially an upgraded version of the Hwasong-5, with the most important difference being an extended range (500-700 km) which could hold the entirety of South Korea at risk. Full-scale production began in 1990 or 1991, and most Hwasong-6s were assigned to locally-produced versions of the MAZ-543 TEL. Like the Hwasong-5, the Hwasong-6 was exported to Iran and given the name Shahab-2. The Hwasong-7 is what is more commonly and hilariously referred to as the Nodong (Get those jokes out of your system before we move on). The Hwasong-7 MRBM was developed in the late 1980s with the intent of delivering a nuclear warhead to Japanese targets. To that end, the missile itself is basically a wider, elongated Hwasong-6 with an upgraded engine and guidance system. Not-so-coincidentally, Iran and Pakistan currently field nearly-identical missiles in their respective arsenals (the Shahab-3 and the Ghauri-I). The Hwasong-7 is often misidentified as the ER-Scud in open-source reporting, but Vladimir Khrustalev confirmed in his Pyongyang visit that the ER-Scud carries the Hwasong-9 designation instead. Skipped again, for lack of data. See my note at the end of this list. Alternate name(s): KN-04, ER-Scud, Scud-D, Scud 2. The Hwasong-10 is the IRBM more commonly known as the Musudan. Derived from the Soviet R-27 Zyb SLBM (which NATO designates as the SS-N-6 SERB), the Musudan has made headlines over the past year for supposedly being ‘hacked out of the sky’ (a dubious claim in my opinion: if the Musudan guidance system is based on the 1960s-era R-27 system then it would basically be just as impossible as hacking a mechanical typewriter). We also saw the Hwasong-10 at #JucheFest2017 with a helpful new black paint job (as you might have noticed, it’s often pretty difficult to tell apart most images of Hwasong-5, -6, -7, -9, and older images of -10). Vladimir Khrustalev confirms the Hwasong-11 to be the missile more commonly known as the KN-02 “Toksa” SRBM. Designed for precision strikes, the Hwasong-11 is possibly the most accurate missile in the DPRK arsenal. 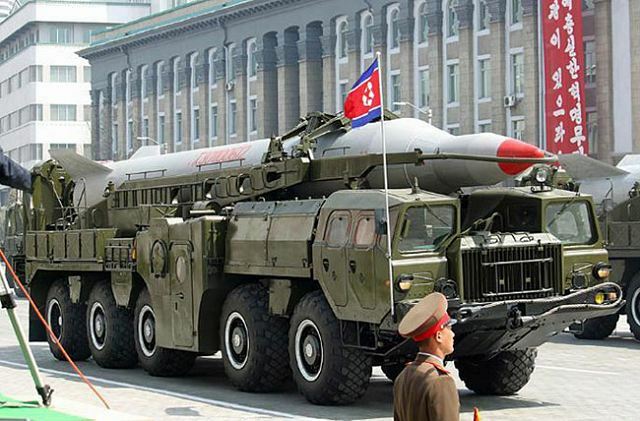 The Hwasong-11 is road-mobile and is fired from a locally-constructed variant of a Belarusian MAZ-630308-224 or -243 6×4 or 6×6 commercial heavy utility truck. See CNS’ model here. There is probably an extended range version, but it isn’t clear whether it actually has a different designation. Alternate name(s): KN-02, Toksa (“Viper”). The Hwasong-12 is a liquid-fuelled IRBM first revealed at #JucheFest2017 and successfully flight tested on May 14th on a lofted trajectory. It is likely to be single-stage (although this is unconfirmed). The range is estimated as 3,700-4,500 km, and it is road-mobile, using a MAZ-based launcher similar to that used by the Musudan. The Hwasong-12 is the missile that would theoretically be used in the proposed enveloping strike at Guam. The Hwasong-13 designation is unique in that it likely corresponds to three different KN numbers, all of which are mods of the same ICBM. The DPRK has used Hwasong-13 to refer to the KN-08 (original three-stage version from 2012), the KN-14 (shortened two-stage version revealed in 2015), and a new missile design revealed in August 2017 whose KN number has yet to be revealed (when it is, I will update the KN list accordingly). Alternate name(s): KN-08, KN-08 mod 2, KN-14, Rodong-C. The Hwasong-14 is the ICBM first tested on Independence Day, which the US government designates as the KN-20. The Hwasong-14 was originally misidentified as the KN-14 two-stage ICBM, but as previously mentioned, that system carries the Hwasong-13 designation instead. The Hwasong-15 is North Korea’s newest ICBM, first tested in late November out of Pyongsong. First off, this missile is absolutely massive — bigger than anything we’ve seen previously, outside of the Unha/Taepodong-2. 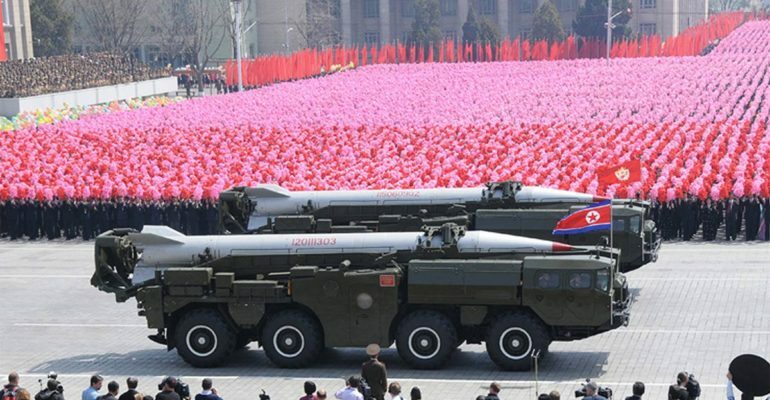 It was launched from a transporter-erector (T/E) with a detachable firing table, in similar fashion to the Hwasong-12 and -14 (although this new one is 9 axles and is subsequently much larger). The missile itself is two stages (with an entirely new second stage) and can carry an RV large enough for a sizeable two-stage nuclear device with space for decoys or multiple warheads in the future. We have three unknowns (Hwasong-2, -4, and -8), but unlike the KN list, the logical order of the Hwasong list offers up some clues. So… ready to take some fun guesses? Let’s start with the Hwasong-2 and -4. Bermudez suggests that by 1975, the primary elements of the DPRK missile programme consisted of short-range FROG-5s and -7s (Hwasong-1 and -3), slightly longer-range HQ-2/SA-2s with surface-to-surface missions (my guess is that the original surface-to-air versions were instead given the Pongae designation, which has previously been used for SAM missions like the KN-06), and a proposed DF-61 programme. This would make the HQ-2/SA-2 family of missiles a likely candidate for the Hwasong-2 designation, as these systems were delivered and upgraded between the two FROG consignments. This would also mesh with Bermudez’s data point that a defector identified the Hwasong-2 as an SSM. Following on from that, it would fit that the Hwasong-4 is the designation for the Chinese DF-61 programme which was intended for export to North Korea. As reported by Bermudez, The DF-61 was a proposed liquid-fueled SRBM with a 600 km range, which would allow the DPRK to strike targets anywhere in South Korea. The programme was cancelled in 1978 after project leader General Chen Xilian was removed from his post in the Chinese Central Military Commission. 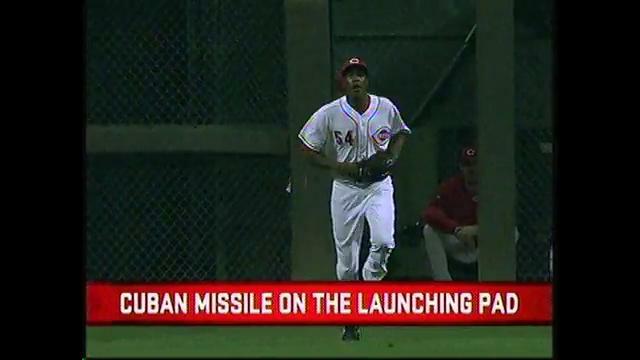 Until its cancellation, the DPRK had considered the DF-61 to be the central piece of its ballistic missile arsenal, so it would make sense for them to assign it a Hwasong number and then retire the -4 designation like some kind of famous baseball player (fun fact: there are a surprising number of baseball players with missile-related nicknames). The Hwasong-8 is trickier. Based on the timelines, we’re probably looking for a system dating to the 1990s. The Taepodong-1 — North Korea’s first space launch vehicle (SLV) which began development in the early 1990s — immediately comes to mind; however, it appears that the Taepodong-1 (a US designation) SLV was named Paektusan by the DPRK. It is possible though, that the missile was originally intended to carry a warhead, in which case it may have carried a Hwasong designation (reserved for offensive systems) before being re-assigned with an SLV mission and re-designated as Paektusan, a name which carries enormous symbolism in North Korea (Kim Jong-il was supposedly born on Mount Paektu, which is featured prominently on the national emblem and throughout DPRK propaganda). Absent any hard data, these are simply my best guesses based on the timelines and my own research. But just as before, if you know something I don’t, please get in touch. Before I sign off, let’s take a minute to appreciate the fact that a North Korean-induced nuclear winter would be a literal (Hwa)Song of Ice and Fire (although to be fair, Daenerys already has an army of No-dongs). Given the various names by various state and non-state actors, I find your article to be very useful. I will be in Seoul next month and will be interested to see which version they use. Hwasong is a long designation, like Bayerische Flugzeugwerke 109 instead of “Bf-109”. (We American’s tend to use hyphens in our military equipment identifiers.) Can we just write Hwasong-12 “Hs-12” or “Hw-12”. Most of us don’t know how to type 화성 . Which would you suggest?